Toulouse, February 6, 2018 – ATR, the world’s leading manufacturer of turboprop aircraft, sees that there is huge growth potential for the company in the Asia Pacific region. 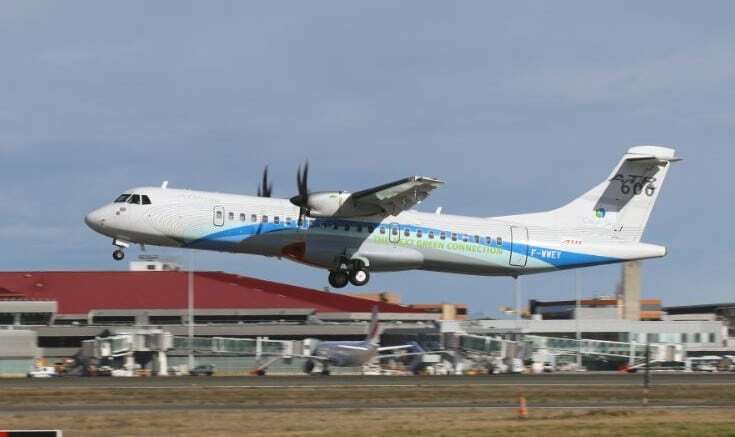 The manufacturer anticipates a demand for some 750 turboprops within the next two decades in the region (excluding China). ATR was founded in 1981 and is the world leader on the market for below-90-seat regional aircraft. Since its creation, ATR has sold nearly 1,700 aircraft. ATR aircraft equip the fleets of some 200 airlines in nearly 100 countries. ATR is an equal partnership between two major European aeronautical players, Airbus and Leonardo. Based in Toulouse, ATR is well established worldwide with a large customer support and sales network, including customer service centers, training centers and warehouses. For more information, log on to http://www.atr-aircraft.com. Be the first to comment on "ATR Sees Further Growth Potential in Asia Pacific"